And why do we do this anyway? Obviously there some level of mastery we’d like to reach with our instruments, and if we bother to do these workshops, masterclasses, clinics and lessons then we surely must feel like we still have something to learn about the craft of music. Then there are those rarer occurrences of musicians who study two or more instruments. Usually this would include wildly unrelated instruments (e.g. voice/violin; piano/cello) though usually the instruction usually encompasses studying with musicians within one particular (e.g. classical) tradition on both instruments. We occasionally encounter some of these ‘double majors’ at music schools and in some sense we’ve all had some of this kind of instruction (speaking strictly from the standard classical music training environment) as many of us have gone through the dreaded piano proficiency classes, lessons and test/juries. Tomorrow, I’ll be taking a whole day of workshops in music from Zimbabwe from Patience Chaitezvi, a mbira master. This is a series of workshops sponsored by the oddly placed Folklore and Ethnomusicology at IU. I say odd because Ethnomusicology is still a bit of a contentious academic category. Classical and rock music would be ethnomusics from the standpoint of an Azeribaijan trained mugham musician, for example but since Europe and the west got to name the academic disciplines then those disciplines get name relative to the mainstream of Western culture rather than the indigenous ones. This is especially the case when a Western styled educational institution, like the University system, gets adopted by non-Western cultures. That mini-rant aside, I’ve been taking world music (another contentious term) workshops intermittently for nearly two decades (I’m starting to date myself now). While I was in music school, I would devour all the offerings at my small music conservatory, most of which at the time consisted of workshops in Indian (both ‘dot’ and ‘feather’) and African drumming and dance. Since then I’ve had the opportunity to get semi-formal instruction in music from many regions in the world including some indigenous American styles. In the past few years I’ve spent more time actually learning in that “trial by fire” method–actually rehearsing and/or performing with world music groups. Sometimes those performances happen without any prior rehearsal (such as last week’s gig at the Indy Greek Festival and the previous weeks performances of Central Asian music in Bloomington, IN). In many cases I’m not even performing with my principal instrument as much of my training is in world drumming and percussion styles and techniques. I’ve yet to get any formal training (other than a handful of lessons while in music school) in voice but have been singing with groups (sometimes while playing) in several languages I don’t speak (par for the course for classically trained vocalists). While this may seem like alot to take in for a day (it is, really) I welcome it. Even if I never use what I learn (though I suspect I will probably pick up a mbira at some point) it will have broadened my musical horizons and will undoubtedly give me a slightly different perspective on this strange human activity called ‘music’–but with luck (and with my penchance for casting a wide musical net) I may very well find some way of turning this into a project. And that’s what I think professional development is about, especially for the strange field of music. Broadening our horizons and giving us a possible new skill and knowledge set which may translate into getting that next gig once it’s applied! It was great fun–all the workshops. And actually, last week I got to play a show with a guy from Sudan that played a Sudanese variant of the mbira–very different style, but still very cool! 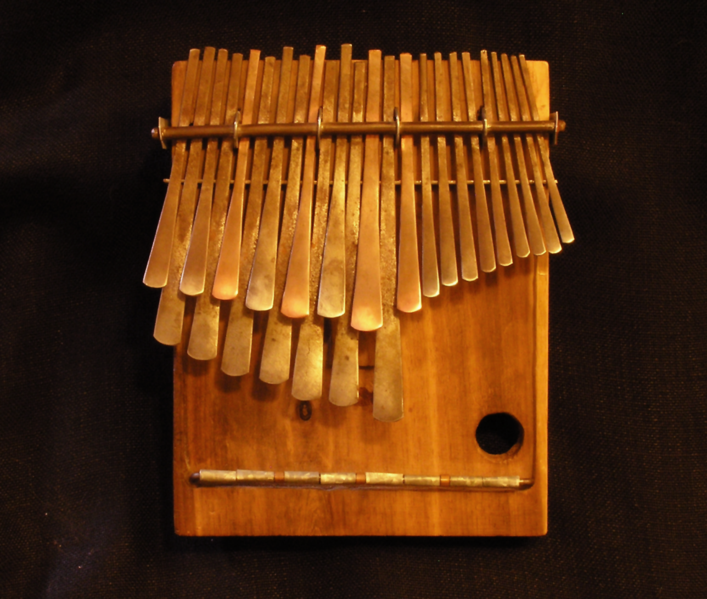 Thanks for the links–I’ll write about my mbira experiences when I get a chance!